As the winter solstice looms and we’ve hit the prime time for racing in Queensland, let’s have a quick wrap up of all the action from the Raid events. 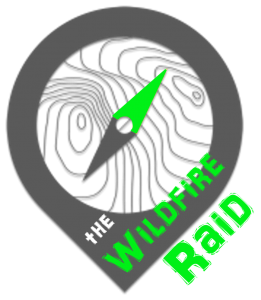 In what I predict to be the new gold standard in sprint adventure racing, the Wildfire Raid is set to kick off on Saturday 28 July. Reports back from the course setters suggest a pretty special race with a ton of single track riding, picturesque paddling on the bay with plenty of route choice, intricate navigation on foot and some special activities based around HQ at Kindalan Camp. With both 3hr and 6hr rogaine format course options, there is something for everyone from first timers through to experienced racers at the Wildfire Raid. Early bird entries close Friday 6 July. However, if you get your entry in by Monday 25 June you will go into the draw to win a Polar M200 GPS Running Watch from our naming right sponsors Wildfire Sports valued at almost $200! Teams already entered are also eligible for the prize draw. Furthermore, in a bid to support the next generation of racers, we’re also pleased to announce that competitors under the age of 18 can race for half price! Check out all the information via the entry link here. 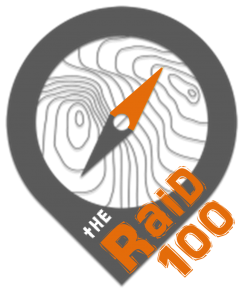 One of the most exciting events to hit our shores, the Raid 100 will be Australia’s first expedition length, rogaine format adventure race. With 100 hours of guaranteed racing, teams of 2 or 4 competitors, pre- and post-race accommodation plus meals included, a minimal gear kit, schedule spanning multiple public holidays and a race HQ at one of Australia’s top holiday destinations just a short ride from an international airport, this is a race not to be missed. Expressions of interest for entries are now open and can be found here. Information on the entry process is outlined here – it looks like the event will reach capacity at this stage, but we are looking to accommodate as many teams as possible. Teams will be notified of their place in the race on 2 July 2018. Are you up for the ultimate Raid challenge? Read more about what to expect from the course including discipline lengths and the number of stages here. As always, full details on the event can be found via the race website link here. Firmly established as Queensland’s premier 12hr adventure race, the Mojo Raid is now taking entries and expected to reach capacity well before race day. The race travels to Lake Moogerah this year to explore an all new area for Queensland adventure racers. The Mojo crew have some fantastic pre-race giveaway promotions from their event sponsors TriRunning Toowoomba which can be found here. Teams looking to arrange accommodation and/or bike hire should contact event organsier Jo. Not just limited to the 12hr race, there is also a 6hr and family friendly 3hr come-and-try race option. Finally, be sure to check out the Mojo Facebook page for some visuals and hints from the course. Enter here. The Rogue Raid is run and done for another year. Now in its ninth edition, this year’s race saw the biggest field ever to a 24 hour adventure race in Australia. The course, hosted out of Lake Samsonvale, offered up a different challenge to many previous editions of the race with the current leaders of the national A1 series Thought Sports taking out the win. The sad news is that the Rogue 24 hour race will take a break in 2019 in lieu of the Raid 100. However, it will make its return in 2020 on the weekend of 25-26 April. I’ve just begun the permit application process for a very special and unique race location. Getting the permits over the line will be tough (hence why I’m staying tight lipped at the moment), however if they get up teams will be in for a fantastic event with a very different feel to past Rogue editions. In the interim, check out the event wrap up from this years edition here. The Urban Raid returns again in 2018. the tentative date has been scheduled for Friday 7 December. The event will again couple as a fund raiser for the Dukes of Edinburgh program. Entries will open in late September – keep an eye on the event page link here for more news. In what could be the biggest foot rogaine to ever hit Queensland, entries to the Australasian Rogaine Champs are now open. Set for the weekend of 25-26 August, teams will be travelling from all over Australia and New Zealand to compete. Don’t let the “championship” moniker put you off: this is an event for all comers through fantastic rogaining country with experienced course setters sure to set a top quality navigational challenge. Team Rogue will be there and hope to catch you on the start line. More information can be found via the link here. The Rogue racing team has taken a step up in the Adventure 1 national series finishing second place at race 2, the Rogue Raid 24hr and third place at race 3, the GeoQuest 48hr. The results have seen them climb onto the virtual podium for the national rankings. Next up, the team are racing at Hells Bells and the Australasian Rogaine championships in August and then the Wildside 50 hour race in late September. Check out a video of the team in action down at GeoQuest here. So, with plenty of options from 3 hours through to 100 hours of racing, there are no excuses to not get a team together, grab a set of maps and have a Raid Adventure.